This entry was posted in Substance Abuse and tagged Coaching, Prescription Medication, Preventing Misuse, Signs and Symptoms on June 21, 2016 by Jacquelyn Ekern, MS, LPC. Some athletes take drugs to cope with the stress of the desire to perform well on the court or field. Certain drugs, such as steroids or human growth hormones, can be taken to improve performance. Other substances, such as prescription painkillers, are taken to mask pain so that /painkillers/performance-enhancement-drugs-and-narcotic-use-in-athletesan athlete can play despite having an injury. Most major sports organizations have strict policies against performance-enhancing drugs. Athletes are not ignorant to the consequences of being caught using these drugs. As a coach, it is important to do more than warn athletes regarding the consequences. It is better to also be aware of the causes for abuse, the potential danger signs that an athlete may be headed towards drug abuse, and the ability to detect it if it has begun. Drug screening is the most obvious way to prevent and detect drug abuse among athletes. Random urine testing is allowed in some team sports as a deterrent to gaming the system. Some argue, however, that this does not fight against attitudes that lead to addiction and, in reality, does little to prevent addictive habits. A prescription can lead to abuse. Encouraging an athlete who is receiving treatment for a sports injury or other malady to keep his or her medications in a secure place will keep other team members from accessing such drugs. The athlete ought to be aware that it is illegal to share his or her prescriptions with teammates under any circumstances. 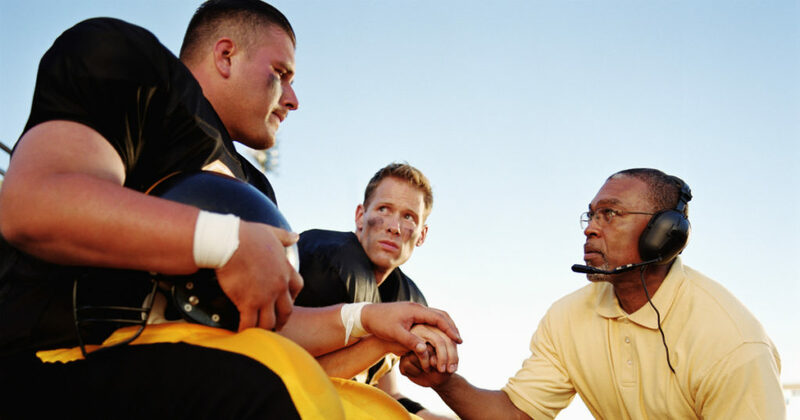 The coach should establish clear communication and let the member who is receiving treatment know that he or she ought to approach the staff immediately if a teammate has inquiring about partaking in the prescription drugs. Team members who seem otherwise clean-cut may easily fall into prescription drug abuse. Personal distress can be an indicator that drug abuse is lurking on the horizon for an athlete. Perhaps an event has occurred in the athlete’s life and he or she is unsure of where to turn for assistance to get past the emotional turmoil. 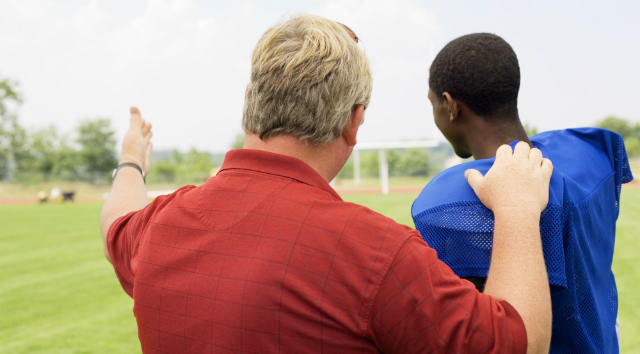 If a coach is well-informed about the day-to-day well-being of his athletes, he will be able to make sure there is an expert around who can provide emotional guidance outside of the team life. If suicide is mentioned even casually by an athlete, this should be addressed immediately. Coaches should be alert to pick up on complaints of dizziness, frequent headaches, drowsiness or confusion. Sharp changes in performance (either positive or negative) are often the most noticed symptom of drug abuse. Digestive symptoms such as gastrointestinal distress (including diarrhea, vomiting and constipation) are not without some medical explanation. None of these signs ought to be taken lightly. If an athlete’s mood drastically changes within a short period of time and for no apparent reason, there may be reason to further investigate drug abuse. Substance abusers lose interest in things that used to deeply matter to them. Falling into such a mood is more common than the occasional blues. A coach should be familiar enough with the mood types and personalities of each team member that he or she can note significant highs or lows. While it can be difficult or awkward to approach a person about drug abuse concerns, the consequences of not doing so and paying the penalty are higher. While substance abuse can end a career forever, addiction treatment can turn things around. Treatment shouldn’t take a qualified athlete off of the field. There are treatment programs that work with athletes and individuals who must keep up endurance or strength training for their careers. About the author: “Coaches: How to Identify Substance Abuse Among Athletes” was written by RiverWoods Behavioral Health System clinical team member Kathryn Taylor, MA, LPC/MHSP. Kathryn has several years of experience working in dual diagnosis addiction treatment, women’s issues and trauma treatment as a licensed mental health counselor. Site Description: RiverWoods Behavioral Health System is a Joint Commission Gold Seal Accredited™ treatment center that offers services for patients who seek recovery from chemical dependency or mental health concerns. RiverWoods’ dedicated team of therapists, doctors, nurses, technicians and pharmacists provide individualized care plans for each person who enters treatment. Because wellness is an ongoing process, the medical team at Riverwoods strives to engage patients in every step of their own wellness while offering a wide range of services in one convenient location. Aftercare groups and ongoing medical management of symptoms are available. : Reardon, C., Creado, S. (2014). Drug abuse in athletes. Substance Abuse Rehabilitation, 5, 95-105. Retrieved from http://www.ncbi.nlm.nih.gov/pmc/articles/PMC4140700/ on 1/20/16. : Douglas, S. (2013, Jan 22.) Choose Performance-Enhancing Hugs: The Health Fundamentals of Doping. The Atlantic. Retrieved from http://www.theatlantic.com/health/archive/2013/01/choose-performance-enhancing-hugs-the-health-fundamentals-of-doping/267388/ on 1/20/16.